SAN FRANCISCO–THURS., OCT. 27, 2016—Committed to empowering the next generation of female computer scientists, software engineers, and developers, Toptal, today, announced two winners of the Toptal STEM Scholarships for Women, a program that supports women in science, engineering, technology, and mathematics through financial support and mentorship. 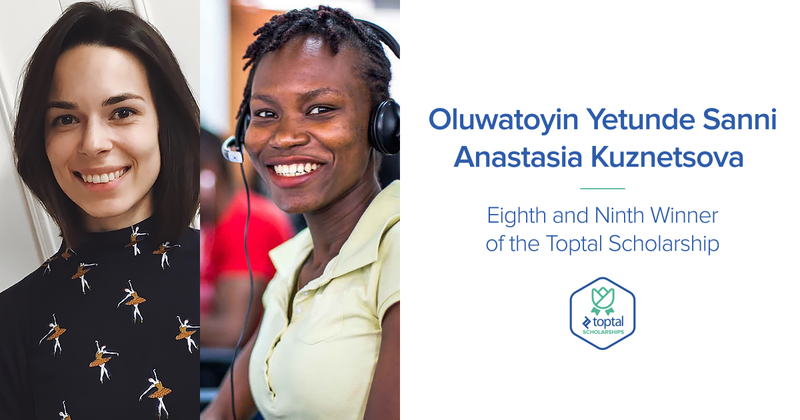 The eighth and ninth winners of the scholarship are Oluwatoyin Yetunde Sanni, a Nigerian software developer with aspirations to become a machine learning research scientist and Anastasia Kuznetsova, a Russian junior data scientist with plans to become a leader in the data science community. Toptal STEM Scholarships, launched in 2015, are a series of 12 scholarships for women awarded monthly over the course of one year. Women of any education level from across the world are eligible to apply. Winners receive $5,000, which many put toward furthering their education, and a year of weekly one-on-one technical training and mentorship from a Toptal senior technologist. Oluwatoyin, co-founder of Tech In Pink, an organization catered to diversifying the tech workforce and making university-aged women successful in programming, plans to put the scholarship winnings toward completing a nanodegree course in Machine Learning on Udacity. Oluwatoyin hopes to use part of the scholarship grant to coordinate more Tech In Pink events and mentorship opportunities. Anastasia, an up-and-comer in the Stockholm female technology community, will put the scholarship toward classes in programming, data analysis, and communication, so she can better present her research findings. 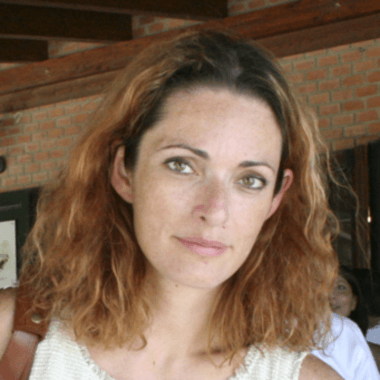 She also hopes to share her journey, including her experience with her Toptal mentor and classes, with her peers at community networking events. For more information on the Toptal STEM Scholarship for Women, including past winners and how to apply, please visit: https://www.toptal.com/scholarships. Founded in 2010, Toptal is an exclusive service to connect innovative companies with the world’s best technical and design talent. Toptal serves thousands of clients, including Fortune 500 companies J.P. Morgan and Pfizer and startups Airbnb and Zendesk, delivering expertise and world-class solutions at an unparalleled success rate. Toptal investors include Andreessen Horowitz, Adam D’Angelo, Ryan Rockefeller, among others. For more information, please visit www.toptal.com.